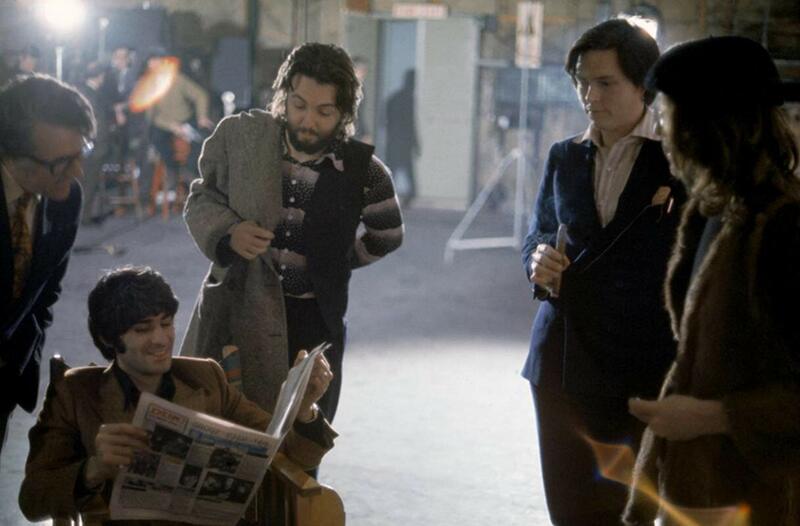 Whether George reluctantly toted the Daily Express and Daily Mirror from his Kinfauns home or if they were delivered otherwise to Twickenham Film Studio, the newspapers were put to good use by the Beatles that Thursday. When looking for inspiration, we all know of John Lennon’s willingness to read the news (oh, boy), but it was Paul who ripped from the headlines to fill out some lyrics in his signature song on the sixth day of the Get Back sessions. The newspapers informed additional verses to give meaning to the chorus. Gale, who at the time wrote for the Mirror, probably caught George’s venom because of that day’s column ridiculing marijuana users in the context of the release of the Wootton Report on the potential decriminalization of the drug. But pot, for people in this country, is a new way of fooling themselves. A man is not made more free by taking pot. Quite the reverse. He is simply made more stupid. The whole column is the opposite of “Got To Get You Into My Life,” so the reason for disdain is obvious. BRITAIN has no intention of easing her immigration restrictions to take in extra Asians forced out of East Africa. 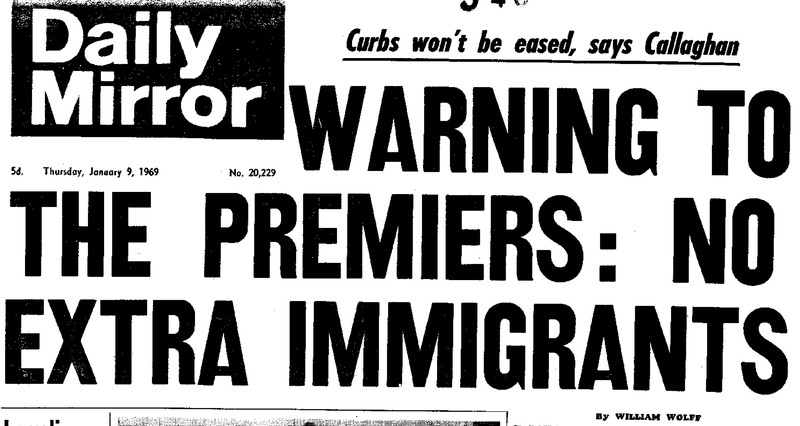 … Mr. Callaghan insists that if Britain is forced to take more Asians from Kenya and Uganda, there will be a cutdown on other Commonwealth immigrants. The Home Secretary is giving the Premiers the strongest warning yet of serious trouble in Britain if extra migrants have to be accepted. 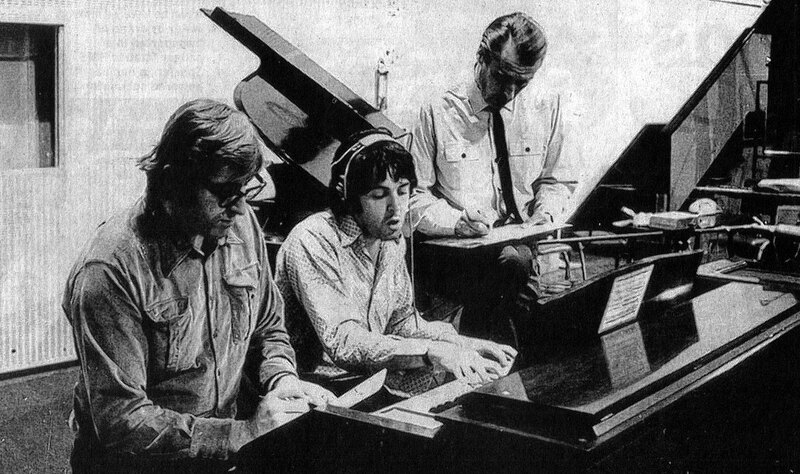 And that takes us back to “Get Back,” the first song the Beatles worked on after lunch. Musically it surges, spunky and alive with the four Beatles perhaps recognizing this is the upbeat rock song they were searching for a week into the sessions. It was likely the first time John played on the song, having arrived after the others when it was first played two days earlier. From a purely musical standpoint, the song was hot and was rivaled by “One After 909” at this point in pure energy — as far as their originals were concerned. By this early moment in the song’s life, it already had the guitar riff and Ringo’s identifiable cymbal crash during the chorus. “Think of some words, if we can. I don’t know what it’s about,” Paul admitted. “It’s about going away, and then the chorus is ‘Get Back.’ Actually, it’s not about anything” (said to laughter). So don’t count George as finding any deeper meaning into that Big Pink cut, in its hexagrams or Arkansas towns. The movement Paul needed was on his shoulder: Just write words that track to the tune, regardless of any actual meaning, and it’ll all eventually shake out. Despite Paul’s admission to the contrary, to this point, the song did start to find a vague lyrical angle. Joe and Theresa entered the picture this afternoon — JoJo and Loretta would join eventually in their place. There remained the pursuit of California grass. Tucson — the Arizona city in which Linda Eastman went to college and close to where the McCartneys would later own a ranch (and Linda would pass away) — was specifically named for the first time. Additional lyrics — often turns of phrases rather than coherent statements — emerged during the more than 20 minutes of high quality and high energy vamping and jamming. One pass through the verse is in the first-person, with the singer the protagonist who was a loner leaving his home for California and who was getting back to where he once belonged. As you can hear below, there were several points where Paul simply garbled over a name, phrase or section of lyric just for filler. 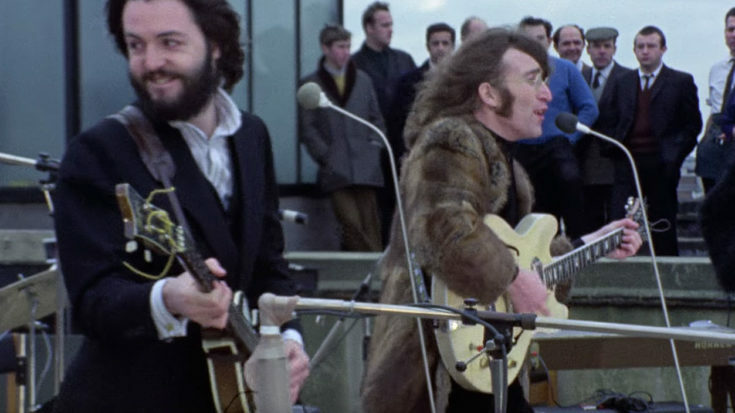 Elsewhere, we get the beginning of a narrative, with an intolerant public imploring the different nationalities “get back to where they once belonged.” The below clip compiles each of the January 9 takes of “Get Back” — the further you get in the clip, the more Paul plays with different lyric ideas. Don’t need no Puerto Ricans living in the U.S.A.
Sensational journalism – The Sun is not a highly reputable newspaper. What this thing is, I think, is that when we were doing Let It Be, there were a couple of verses to “Get Back” which were actually not racist at all – they were antiracist. There were a lot of stories in the newspapers then about Pakistanis crowding out flats – you know, living sixteen to a room or whatever. So in one of the verses of “Get Back,” which we were making up on the set of Let It Be, one of the outtakes has something about “too many Pakistanis living in a council flat” – that’s the line. Which to me was actually talking out against overcrowding for Pakistanis. The Sun wishes to see it as a racist remark. But I’ll tell you, if there was any group that was not racist, it was the Beatles. I mean, all our favorite people were always black. We were kind of the first people to open international eyes, in a way, to Motown. Whenever we came to the States they’d say, “Who’s your favorite artists?” And we’d say, “Well, they’re mainly black, and American – Motown, man. It’s all there, you’ve got it all.” I don’t think the Beatles ever had much of a hang-up with that. The reference he makes to the line about “too many Pakistanis living in a council flat” actually came on January 10, when the Beatles continued to work on the song. But the point remains. The song has been misunderstood by some unwilling or unable to see the nuance (search around the Internet for “Beatles” and “racist” at your own risk, even moreso if you read any comments). We have on tape evidence the “get back” element of the chorus came before anything else on January 7, and was likely a riff on Jackie Lomax’s “Sour Milk Sea,” and we can reasonably dispense of the myth the song’s true origin was political. It’s also pretty clear Paul simply liked the flow of “Pakistani” and “Puerto Rican” — words with four syllables that were easy to rhyme — and was searching for something that sounded appealing, while not shying away from something political. At one point he clumsily rhymes “Puerto Rican” and “Mohican” (a Native American tribe), a perfect example of how little thought out the lyrics were at this point. He was just searching. John Lennon later said “Get Back” was directed at Yoko Ono, anyhow. But more on that another post. The 20-plus-minute post-lunch writing and rehearsal session marked the end of the group’s work on “Get Back” for January 9, although they’d return to it nearly every day they were in the studio until the end of the month. It wasn’t the last time the group included the racial element in the song, and it wasn’t the last time they’d address the issue in song on January 9, either. 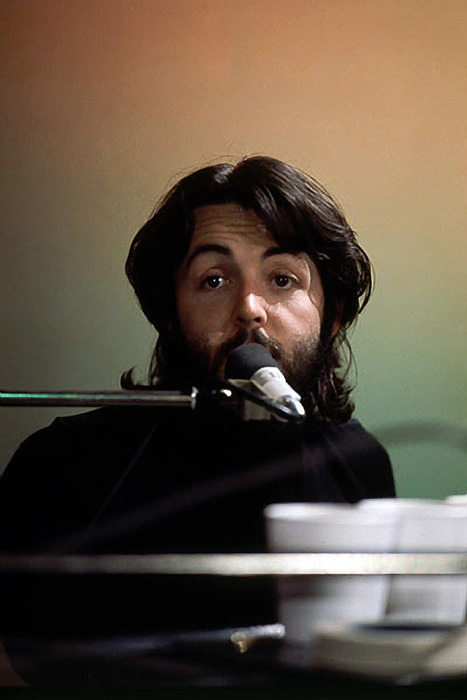 Paul McCartney began January 9, 1969, at the piano sketching out “Another Day,” but it was anything but for the sixth day of the Beatles’ sessions at Twickenham, where things started to get a little testy, while musically it remained very interesting. There are a few more posts to come about January 9 that will get added here before we turn to the 10th, when things really went haywire. Just another day: The Beatles begin their second week at Twickenham with Paul at the piano and his muse by his side as he debuts an important future solo classic. Road work: Twickenham is Paul’s songwriting lab as the morning’s tapes reveal his effort to put lyrics to several works-in-progress, like “Carry That Weight” and “The Long and Winding Road,” among others. Last-night song: George Harrison lifts the veil on a proper version of “For You Blue,” but are the other Beatles eager to bite on another George original? Jokes in between: Harmony and discord, joy and petulance. It’s a roller-coaster of moods for the members of the Beatles as they continued work on their core set at Twickenham. No Pakistanis: Inspired by current events, Paul McCartney works on a set of satirical, racially charged — and later misunderstood — lyrics to “Get Back.” Putting this Beatles’ session into appropriate context 50 years later. Almost fifty years have passed, and we’re still unsure of how the Beatles’ ditty “Suzy Parker” came about. 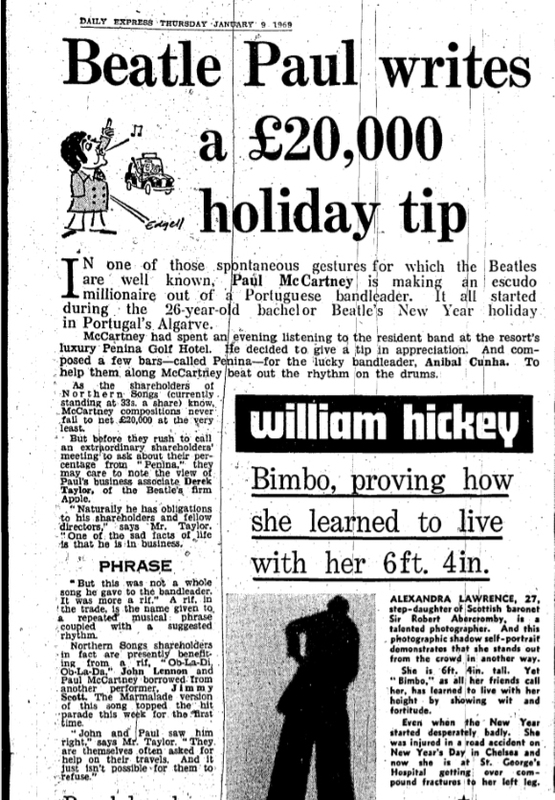 But the origin story for “Penina” — discussed and introduced by Paul McCartney a few hours after the somewhat mysterious performance of “Suzy Parker” — quite literally appeared in print on the very day we’re discussing, January 9, 1969, in the Daily Express. “Penina” is usually lumped into the pile of Lennon/McCartney songs given away to other artists. Why, you may have seen it on the 1979 EMI compilation “The Songs Lennon And McCartney Gave Away,” alongside far more notable tracks like Peter & Gordon’s “World Without Love” and Billy J. Kramer’s “Bad to Me.” Those were No. 1 hits. “Penina” wasn’t even released in the U.K. or U.S. So how does “Penina” fit in and how did it come that Paul is the sole author? Paul, who vacationed in Portugal in mid-December 1968 with Linda Eastman, her daughter Heather, and Beatles biographer Hunter Davies — a trip highlighted by Paul proposing to Linda and her discovery she was pregnant with Mary — recounted a story of showing up drunk at La Penina, a hotel resort, one night around midnight. “See the bit in the paper where it said about me giving a song to some group, in William Hickey this morning?” Paul asked the rest of the group a little bit after lunch. McCartney had spent an evening listening to the resident band at the resort’s luxury Penina Golf Hotel. He decided to give a tip in appreciation. 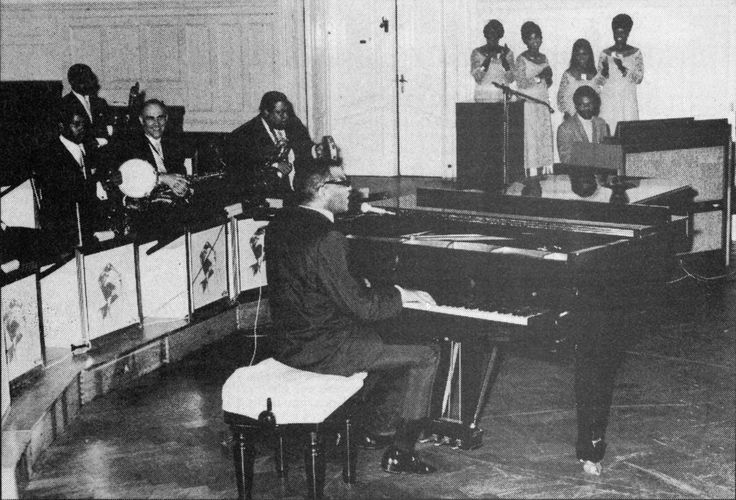 And composed a few bars — called Penina — for the lucky bandleader, Anibal Cunha. To help them along McCartney beat out the rhythm on the drums. Good lord, is that all it takes? Someone get me in the same room as Paul McCartney, I have absolutely no good material. As the shareholders of Northern’ Songs (currently standing at 33s. a share) know, McCartney compositions never fail to net £20,000 at the very least. Northern Songs shareholders in fact are presently benefiting from a rif, “Ob-La-Di, Ob-La-Da,” John Lennon and Paul McCartney borrowed-from another performer, Jimmy Scott. The Marmalade version of this song topped the hit parade this week for the first time. Who says John Lennon didn't like "Ob-La-Di, Ob-La-Da"? @PaulMcCartney tells @HowardStern how John actually saved @thebeatles song. It’s not quite “Elanor Rigby” — it’s hardly “Wild Honey Pie” (or “Fuh You” for that matter, to evoke Egypt Station again). But it’s a Paul McCartney original and from the same moment in time he was writing songs like “Let It Be” and “The Long and Winding Road” so it deserves to be at least more than a footnote. When the song was finally released a few months later — by Anibal Cunha’s band, Jotta Herre — the sleeve proudly trumpeted the Beatle’s songwriting credit. And it’s a lone McCartney credit, not Lennon/McCartney. The eventual lyrics have just three verses, with the final one ending with a first-person reference. It’s a languid offering, plaintive at best sporting simplistic lyrics that recap the evening sung over a bland melody. In challenging the report that it was a £20,000 song, Paul was clearly giving the song little merit in January 1969. After all, it was just a riff! In short time, however, Paul was interested in taking a little bit of ownership in “Penina,” starting soon thereafter with his blessing the band to use his name as a promotional tool. In an interview with a Portuguese magazine published in July 1969 and beautifully titled “Jotta Herre — the godchildren of Paul McCartney,” Cunha disclosed further communication with the bearded Beatle. I have only one thing to regret, and we must involve the name of Paul McCartney and the friendship he gave us. But, in truth, he also forced us to do so. And in a letter he sent us he tells us categorically. “Use my name without hesitation, let it be used for your publication.” And, finally, the commercial entities linked to the release of the album knew this and took advantage of the idea. Well Paul’s name has a made market and it is assumed that it will be commercially valid. The song was not really that commercially valid, to use that term. Neither the original version nor a subsequent cover that year by two-time Portuguese Eurovision contestant Carlos Mendes — whose cut appeared on the aforementioned EMI compilation — appears to have made much of a dent in sales, despite the McCartney name behind the song. Perhaps it was the quality of the song that played a role. I went to Portugal on holiday and returned to the hotel one night slightly the worse for a few drinks. There was a band playing and I ended up on the drums. The hotel was called Penina, I made up a song with that name, someone made enquiries about it and I gave it to them. And, no, I shouldn’t think I’d ever record it myself! 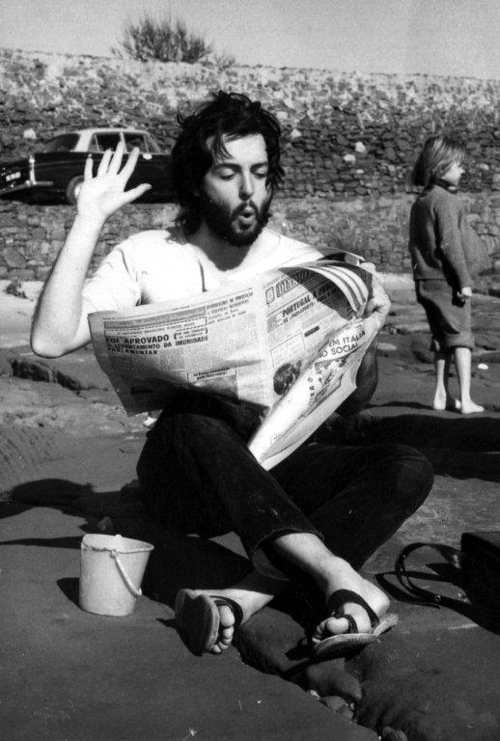 The Summer 1995 issue of the same magazine likewise listed “Penina” among the songs Paul gave away, chronologically listed between bona-fide hits “Goodbye” (Mary Hopkin) and “Come and Get It” (Badfinger), showing a breathtaking contrast of song quality with his Portuguese throwaway. To this day, Paul still hasn’t recorded “Penina,” but the song lives on. Mendes re-recorded it for his latest LP, which came out in April 2018. And while “Suzy Parker” lives on only through bootlegs and YouTube clips, having become the actual footnote in Beatles lore, you can see the 71-year-old Mendes perform “Penina” live in concert in Portugal this December, nearly 50 years to the day Paul wrote the song a few hours away at the Penina Hotel and Golf Resort. Why, it’s a metaphor for George Harrison’s flowering ambition within the Beatles in their final year! OK sure, but it’s actually just the guitarist describing how famished he was before arriving at Twickenham Film Studios mid-morning on January 9, 1969. You know that what you eat you are: George enjoys breakfast at home on April 9, 1969, three months to the day after this post’s session. Paul McCartney already had spent at least 45 minutes at the piano this Thursday, and he ceded the virtual spotlight to the new arrival, who reintroduced “For You Blue” to the sessions. “This is his last-night song,” Paul would later describe it to John Lennon, who would show up shortly (Ringo Starr was already around when Paul was playing). Paul’s characterization of George’s song wasn’t entirely accurate. As far as the tapes are concerned, this was the third day “For You Blue” was demonstrated — but it was the first time it was properly and deliberately performed for and with the other Beatles. A slower, bluesier version acted as background music on January 6 during a conversation about equipment. Likewise, the next day, the song wasn’t performed so much as it kept George busy amid the overwhelmingly tense debate over the band’s future. 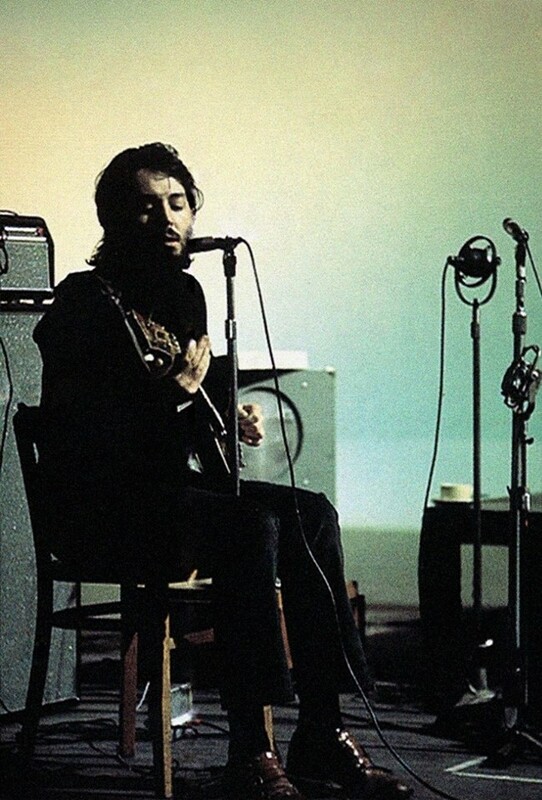 Finally on January 9, George properly lifted the veil on “For You Blue,” offering it on an acoustic guitar as a sharper, more highly paced toe-tapper as compared to those previous, abbreviated versions. The skiffle influence was obvious, and on this morning, admitted. The song was clearly a “last-night” project, enjoying a clear evolution heading into the 9th. The guts of the version that would be recorded a few weeks in the future and released more than a year later existed this morning for the first time: its distinguishable introduction, the first few verses, guitar solo and its ending. The cat didn’t bop yet, and Johnny didn’t go, but the number George described as “our little blues-folk song” was indeed the same ol’ twelve-bar blues. Paul chipped in an imperfect but not insincere stab at a piano part and a vocal harmony. Neither would stand the test of time, but the attempt wasn’t out of place. Peaking as a songwriter, George admitted writing the lyrics was a simple process. “You got most of the words?” Paul asked. Paul slammed the brakes, though, setting the terms of the rehearsals. “Let’s run through the ones we know and then learn the [new] one. For better or worse, it was. And following was a sequence in which the group tackled some of their more familiar numbers — “Two of Us,” “I’ve Got a Feeling,” “One After 909,” “She Came In Through the Bathroom Window,” new favorite “Get Back” and the rehabilitated “Across the Universe” — before they got a little original and political. But that’s for another post. Fresh out of a cover of “Honey Hush” (by Big Joe Turner, via Johnny Burnette, with John taking lead vocals), we finally got the day’s first few attempts at full-band takes of “For You Blue” on the tapes. It sweats with swagger, with George leading the way on electric guitar and Paul adding a mature though imprecise bass part. “For You Blue” is a simple twelve-bar song following all the normal twelve-bar principles, except that it’s happy-go-lucky! At least one person, though, wasn’t too happy with the song after the first full go. “Pretty short, innit?” John asked after the two-or-so-minute take. George retrieved an acoustic guitar and proceeded to perform the song alone, accompanied only by hand-claps, probably from Paul. Clearly noting the lack of enthusiasm for his own songs and probably reflecting his own increasing boredom as he endured the sessions , George — for the third time in a week — tried to deflect effort from the Beatles’ own rush to produce new material. “Should we do some other people’s tunes as well?” George asked. 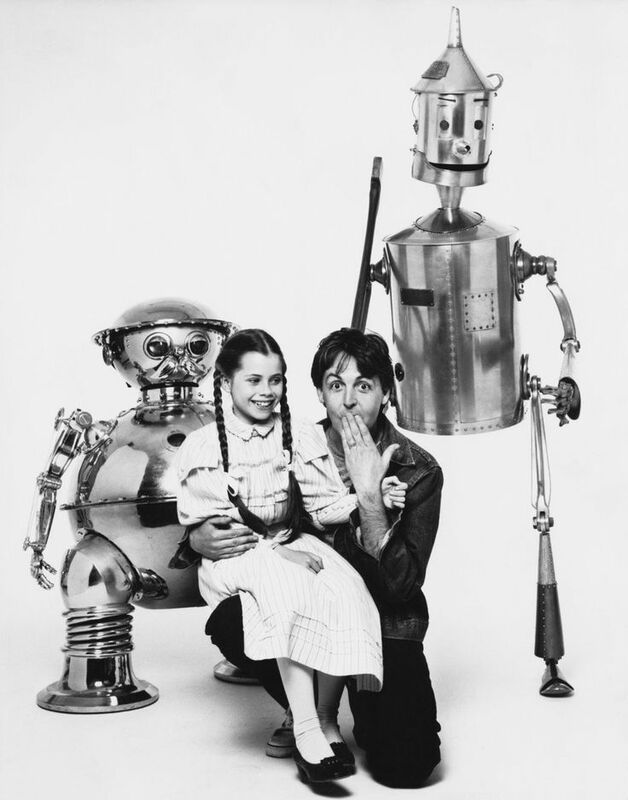 “That’s why I don’t learn them,” Paul replied. George performed “For You Blue” one more time, and he eventually quit singing after Paul melodically read or improvised a wholly unrelated speech while George played guitar. On January 3, the sessions’ first full day, George asked if the group would dip into their back catalog. On January 7, he asked if other groups would join them on the bill. And now, he was feeling out the potential of mixing in covers, something they were doing relatively effortlessly throughout the sessions thus far. His most significant contributions to this point — “All Things Must Pass,” “I Me Mine” and “For You Blue” — arguably matched Paul’s newest songs and certainly outpaced John’s meager output. And still, George’s songs were downgraded or degraded by the others, nothing that was really new. Per the tapes, George’s last-night song was the only song of his rehearsed on this January 9. His hunger for an expanded role — or a significant change in the band’s operation — was growing insatiable. On January 10, it was breakfast at home again for George, but the change he starved for came at lunch.